Rumour No. 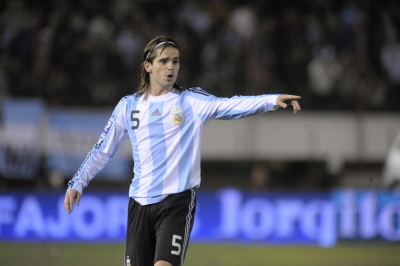 1: Manchester City are to sign Real Madrid midfielder Fernando Gago as well as Mathieu Flamini. The Madrid man as been quoted as saying that he may possibly be looking for a move away from the Bernabeu and The Premier League seems to be his preferred destination. City boss, Roberto Mancini is apparently keen to employ a fifteen man midfield and sees Gago slotting in perfectly as one of his six holding players. Rumour No. 2: One of the most boringly drawn out rumours of the window has resurfaced yet again today. 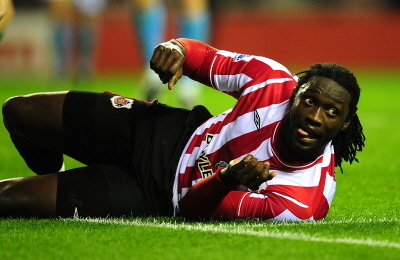 Liverpool have once more been linked with a move for Sunderland’s Kenwyne Jones. The story has an added blockbuster twist this morning though! Apparently a loan deal (with the view to a permanent move in the summer) would mean that any monetary impact the transfer may have would be carried into the next financial year – in other words, Liverpool are looking for a tax dodge. The fact that Steve Bruce has repeatedly said that he won’t let Jones leave for a penny less than £14 million is apparently a moot point. The Best of the Rest: Chelsea utility man Juliano Belleti has admitted he is ‘in the dark’ regarding rumours of a January switch to Flamengo. Man City have also been linked to CSKA Moscow’s promising winger Milos Krasic. The Serbian has been interesting the likes of Manchester United, Arsenal and Inter Milan after some eye-catching performances in The Champions League. The Citizens also remain hopeful of signing Rubin Kazan’s Argentinian full back Cristian Ansaldi. Everton may sell striker James Vaughan during January, presumably to make way for Jermaine Beckford. Stoke City, Burnley and Middlesbrough are all keen on signing Portsmouth’s Hayden Mullins. Fulham have entered the race to sign James Beattie from Stoke. Bolton Wanderers want to sign Jamie O’Hara from Tottenham but the move would need a special FIFA sanction as O’Hara has already appeared for two clubs (Spurs and Portsmouth) this season. Wolves have signed Geoffrey Mujangi-Bia from Belgian club Charleroi on loan until the end of the season. Hull City are hoping to sign David Healy on loan but the Sunderland striker has said that he wouldn’t be averse to dropping down to The Championship for regular game time, which has alerted Newcastle United and West Brom. Derby County want to sign Arsenal youngster Gilles Sunu on loan and Millwall left back Dave Martin for £125,000.